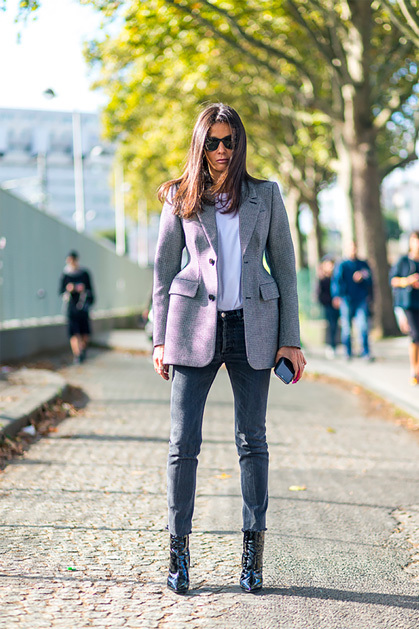 Blazers are back big time this fall with a new oversized silhouette. Balenciaga's voluminous version, above, is the trend's pioneer, with structured shoulders, an hourglass shape, and extra long length. Other designers are following suit, of course, and in some cases, a lot less expensively, tempting me to throw one on in lieu of a predictable fall jacket or coat. Among my favorites are these by New Look, Etoile Isabel Marant, And Other Stories, Stella McCartney, Masscob, and H&M.